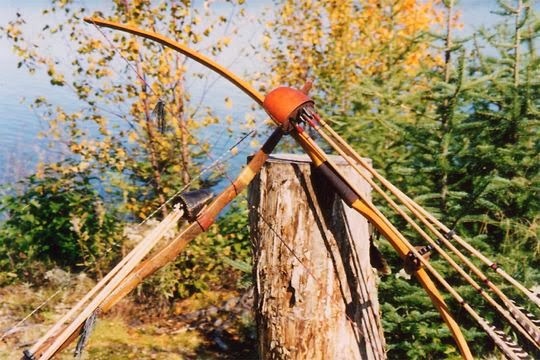 Here is a list of laws for bow hunting in Ontario. #1. You must be over 16 years of age and have a valid Ontario Outdoors Card. #2. You must have the appropriate tags for what you are hunting (eg. buck deer tags if you want to hunt male deer). #3. You must complete a hunting training course and written test (the test is really easy to pass) to obtain your hunting license. #4. You must use the minimum poundage on your bow for what you are hunting. For deer it is 39.7 lbs. For elk, moose or black bear the minimum is 48.5 lbs. Note: Most deer hunters use 45 lbs and most elk or moose hunters use 50 lbs. Bear hunters often want a little more power, typically using anywhere from 55 to 75 lbs. #6. You cannot hunt in Ontario cities or near towns / you can only hunt in areas that are designated safe to hunt. #7. Observe and adhere to "no trespassing" signs. Failure to do so can result in both trespassing and poaching if you are caught. If hunting on a farm or someone else's property you should obtain permission from the owner before going on their property. This is also a safety concern as some people might have dangerous terrain and don't want people on their land if they fall and hurt themselves. In some cases they might even have bear traps out there, so you really don't want to lose a leg by trespassing on an area with random bear traps. #8. No hunting on Crown land where hunting has been strictly prohibited. 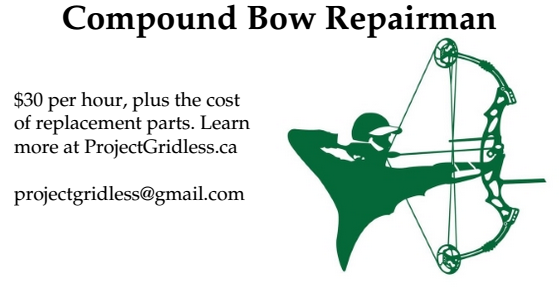 For recurve, longbow or compound bow archery lessons in the GTA contact CardioTrek.ca.